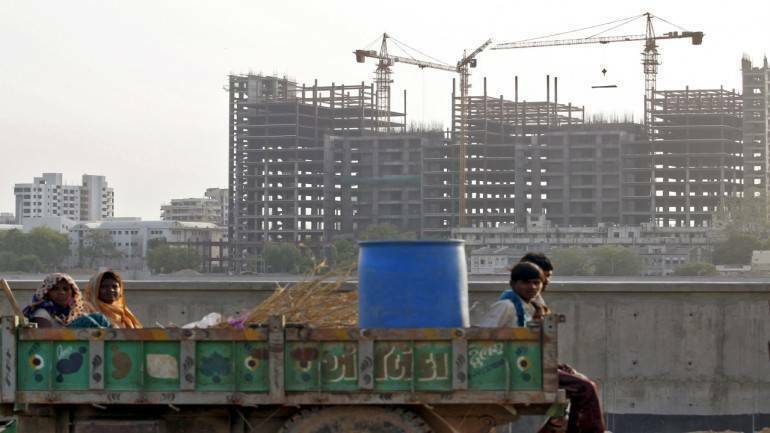 Ahead of the Lok Sabha elections, the Goods and Services Tax (GST) Council on February 24 slashed tax rate on under-construction residential properties, making the effective tax rate 5 percent for the normal category and 1 percent for the affordable housing category. In both cases, builders will not be able to claim the input tax credit (ITC). The new rate will be applicable from April 1, 2019. The decision is expected to boost demand and increase sales of under-construction properties as well as simplify tax structure and compliance for builders. The move is also in line with the government’s vision of ‘Housing for all by 2022’. Currently, GST is levied at an effective rate of 12 percent (standard rate of 18 percent less a deduction of 6 percent as land value) on normal housing and effective rate of 8 percent (concessional rate of 12 percent less a deduction of 4 percent as land value) on affordable housing on payments made for under-construction property or ready-to-move-in flats where completion certificate has not been issued at the time of sale. “The elimination of input credit tax benefit may hit profitability for the supply side; however, the potential demand generation as a result of this move will far outweigh any negative aspects leading to greater sales numbers and revenues,” said Shishir Baijal, Chairman & Managing Director, Knight Frank India. The Council also brought in a twin definition of affordable housing, on the basis of carpet area and cost, finance minister and head of the Council Arun Jaitley said. A residential apartment, with a carpet area of up to 90 sqm in non-metropolitan cities and 60 sqm in case of metros with value up to Rs 45 lakhs will fall under the affordable housing category, Jaitley said. Bengaluru, Chennai, Delhi NCR (limited to Delhi, Noida, Greater Noida, Ghaziabad, Gurgaon, Faridabad), Hyderabad, Kolkata and Mumbai (whole of MMR) will be considered metropolitan cities. “With these reductions, the GST rate on normal under-construction apartments would be a little lower than that prior to the introduction of GST and affordable housing would be significantly lower than before,” MS Mani, Partner at Deloitte said. Besides, GST exemption on Transferable Development Rights (TDR), long-term lease (premium), FSI will be exempted only for such residential property on which GST is payable, a move that is expected to solve the cash flow problem for the sector. “Details of the scheme shall be worked out by an officers committee and shall be approved by the GST Council in a meeting to be called specifically for this purpose,” a government release said. While the new date (April 1, 2019) will give some time to the industry to assess the impact and work out the new prices, an expert believes that developers will need to increase the base price to recover the loss of input credit but would need to be cautious given the surge in anti-profiteering investigations for restaurants, in similar circumstances. “Also, it was mentioned that the new rates are likely to come with a condition that majority of purchases would need to be from GST registered vendors. Therefore, monitoring the compliant vendor eco-system would continue to be critical for the industry,” Pratik Jain, Partner, PwC India said. Besides, the decision on real estate, the Council has asked the GoM on lottery to meet once again to work out a possible consensus. A panel headed by Maharashtra Finance Minister Sudhir Mungantiwar on the uniformity of taxation on lottery under GST and had recommended 18 or 28 percent tax rate. Under GST, state-organised lottery falls under the 12 percent tax slab while state-authorised lottery attracts 28 percent tax.